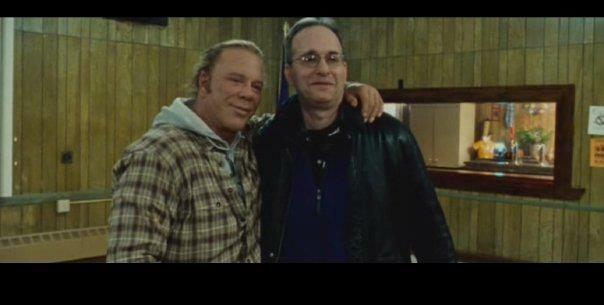 NEW YORK - Dec. 31, 2013 - PRLog -- Evan Ginzburg is the Associate Producer and appears as himself in Darren Aronofsky’s critically acclaimed film The Wrestler with Mickey Rourke and Marisa Tomei. He is the Producer of the award winning documentary, Theresa Sareo Alive Again featuring Gary Sinise. Formerly an on air host at 50,000 watt WBAI-FM 99.5 in NYC, he is now host of Evan Ginzburg’s Legends Radio. He has branched into TV with Legends TV where you can expect not only top show business names, but also the greatest independent musicians, actors, writers, comedians, artists, filmmakers, and even colorful pro wrestlers on our weekly spectaculars. He is currently producing and directing a brand new documentary on the independent music scene, The Stage is an Altar. Sissy chats with the cast & crew of the French film LA VIE PURE on The Sissy Gamache Show! Soprano Ana Echandi en concerto on The Sissy Gamache Show this Friday night! Sissy chats with Mexican director/producer/writer Roberto Sneider this Friday night! Sissy is on the Con, The NY Wintercon 2016 this Sunday!